A DCU professor was appointed to lead the UNESCO Chair on Tackling Bullying in Schools and Cyberspace. Professor James O’Higgins Norman was the director of the National Anti-Bullying Research and Resource Centre (ABC) in DCU. He said that ABC research showed that 14 per cent of post-primary school students experienced cyberbullying. “Many more than this can have negative experiences online that do not comply with our definition of cyberbullying,” he added. He previously garnered international attention due to his research on homophobic bullying in secondary schools. This research was referenced in debates in the Irish parliament and the EU Commission when they developed anti-bullying legislation. The UNESCO Chair was established back in May of this year and it’s planned to run for four years. Its main aim was to come up with measures to prevent bullying and provide educators and parents with guidelines on intervening on potentially harmful situations. Several DCU students were frustrated with the lack of help they received. 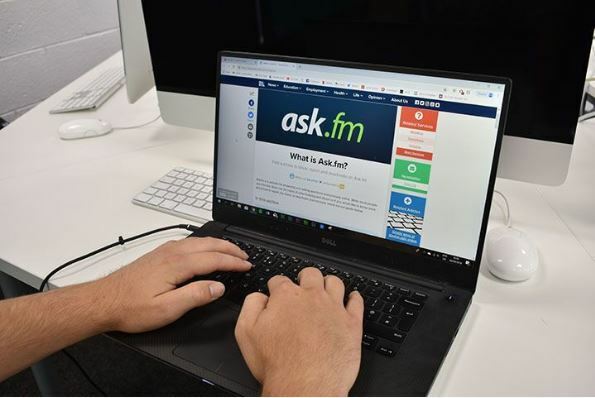 A Bachelor of Education student who wished to remain anonymous said she was told several times online that she was worthless. “I was sent a list of reasons [why] I was a waste of a life at one point. When I went to the school and Gardaí for help, I ended up having my hand jammed in a locker by the girl,” she said. The school told her that since the incident occurred online, it was outside of their control. The Gardaí offered counselling and online security tips, but she said the bullying never stopped. A global business student who also didn’t want to be identified reiterated how their teachers failed to assist them. They said the abuse they suffered was much more psychological in nature. “They pressured the ones who were still my friends to avoid spending time or even talking to me,” they said. This abuse affected them for years, as they became introverted and began to suffer from panic attacks. Back in January, ABC’s bid to host the second World Anti-Bullying Forum was successful. It will be held in 2019 in DCU from June 4 to 6.